Growing up I remember many things with fondness. Among them were the cartoons I grew up with. Ranging from G.I. Joe to Transformers I was always glued to my television set every Saturday morning ready to absorb the latest installments of whatever the hell interested me at the time. One of the cartoons that always had me looking to the clock to see when it came on was the original Teenage Mutant Ninja Turtles show. Don’t confuse it with the utter piece of trash that masquerades as a cartoon today, I’m talking about the original people, the one that started it all. As a cartoon fanatic I feel qualified that TMNT was one of the best shows growing up in the late 80’s and early to mid-90’s. Naturally, when the show was at its peak, video games were produced to cash in on the success of the show, as well as several feature length movies. Also there were action figures galore, clothing apparel, and just about everything else you could imagine. If they could sell it, they stamped a TNMT logo on it and pumped those suckers out. However, we need only concern ourselves with the video games that were spawned from this series. Some were great, and others weren’t, but they all sold very well. As time went on; however, TNMT (like most fads) simply faded away, its popularity waning as the kids that watched it grew out of it. Now its back, resurrected from the cartoon graveyard with a crappy cartoon series I’ve caught occasionally on the Cartoon Network. So, with the resurrection of the franchise, Konami decided it was time to cash in once again and start producing TMNT games again. So after a few decent tries, we are now given Teenage Mutant Ninja Turtles 2: Battle Nexus (which for my typing sanity, will now be referred to as TMNT 2: Battle Nexus for the rest of this review). Honestly I never played the first one outside of two minutes at my local EB, but it looked interesting. And once I heard about the super cool extra in this game I knew I would probably get it. Once again people my childhood has betrayed me. Maybe it’s my child mentality that makes me think these kinds of games are going to live up to the standards the old Turtles games had for me. Or maybe it’s just that this game is simply without redemption that makes me feel betrayed. Regardless, every game deserves a fair chance, and that is what the Inside Pulse Games review system is all about. Let’s get right down to it then as TMNT 2: Battle Nexus goes under the microscope. See, watching the new crappy Cartoon probably would have helped me follow this story a bit better, and enjoy it more while I played. I have been informed though that TMNT 2: Battle Nexus follows the plot of the cartoon series in their second season, so for fans of the series you have a leg up on the rest of us, since you already know what the hell is going on. For the rest of us a brief summary is probably in order here. The Turtles (Leonardo, Michelangelo, Raphael, and Donatello) have to save Master Splinter, their teacher and mentor who also happens to be a rodent/human hybrid due to his exposure to ooze (yes I remember my original Turtles plot!). You can take several different paths along the way to save Splinter, but all lead to the same end. Of course, what would be a Turtles game without having Shredder waiting for you at the end to take you on in one last battle? So, yeah, the more things change the more they stay the same. Fifteen years ago I was playing a game where the objective was to save April O’Neil and the world from the clutches of Krang and Shredder. Fifteen years later I’m doing much of the same, except some of the faces have changed. A lot of people would probably be down on a game for a by the numbers plot like this. I mean how many games are out there that simply have you battle a bunch of enemies, beat a hugely powerful boss, just to save the world and a person close to the heroes? 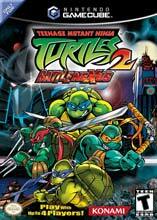 But TMNT games get a bit of a reprieve in this category because the games I remember were never about the story: they were always centered around the game play and action first, with the story being in the background. It was always just there to make you feel like you were working towards some kind of objective; but everyone knew what the real fun part was of a Turtles game was: pummeling as many foot soldiers (or other enemies) as possible. Fans of the new cartoon series will dig it a lot more than those of us who aren’t, but that’s to be expected. Still the story is serviceable, even if it is as predictable as it comes. 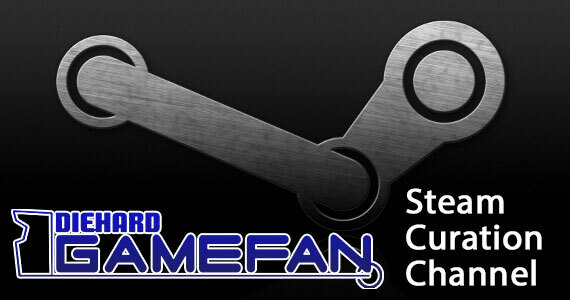 You’re probably wondering how I didn’t like this game when the first two categories here really aren’t too bad. Well we’re getting there, but not quite yet. Konami may have come up short in other areas but the graphics impressed me greatly. I’m a sucker for cel-shaded design, and there is a decent amount of that incorporated here. Overall the graphics gave a nice vibe to the in-game play, as it looked like you could be actually playing a scene from the cartoon or from a very well done comic book. All the characters look very good, including the unlockables like Casey Jones and Splinter. The enemies impressed me, and even though sometimes you’ll see some poor quality graphics display, for the most part his game is pretty polished graphically. Sadly, though, graphics can’t make a game better. What graphics do is enhance a game if it is already good. When good graphics are paired with a game that plays poorly all they are is a bit of a distraction. So basically Konami provides us with is a nice distraction from everything else that is wrong about this game. If they had put as much effort into the game play and control as they did with the graphics Battle Nexus would certainly be a title worth a second look. However, speaking on graphics things look pretty damn good, and I’ll give credit where credit is due. My feelings are pretty mixed here. The sound effects are what you would expect, as it’s really hard to miss the mark in a fighting action game with the sound effects. The usual suspects of destruction, explosions, and brutal beatings are all there, but like I said, anyone would expect nothing less. The soundtrack itself is somewhat disappointing. It’s boring, unenthusiastic, and simply unable to keep my interest while playing the game. Not surprisingly after about 10 minutes I started to play my own music, because I just couldn’t take such a boring mix of music from a game which is supposed to be centered upon beat em’up action. I was a bit surprised too, because the games from my youth always had pretty good soundtracks to them. Maybe it’s just nostalgia clouding my judgment again, but I was expecting more out of the soundtrack to Battle Nexus than I ended up getting. However, I did say this was a mixed bag and there is a bit of redemption here. The voiceovers in Battle Nexus are down by the same voice actors currently voicing the main characters in the new Turtles cartoon. And while I am not a fan of the cartoon they all do a serviceable job in their roles. I also like the fact that Konami took that extra step to get them in to do these parts. Detail like that is always a plus. But as we’ll soon find out, they probably would have been better off focusing that attention to detail in other categories. You can play with up to four people at a time, because you will need to use all four characters at different times during the game. 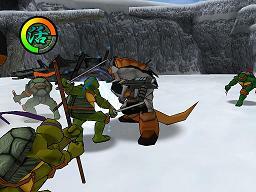 The stages and environments are set up in such a way that you will need to constantly be switching back and forth between the four Turtles since their special skills and abilities will be needed in certain areas to advance. 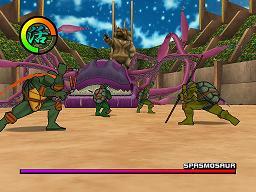 For example Donatello is needed to operate computerized equipment and other machines to open new areas, while Leonardo can slash through some barriers. Sounds cool, right? In theory it is, but in execution Battle Nexus fails the control test horribly. First off the camera angles are absolutely brutal. You’ll consistently be frustrated with poor views as you fight. Compound that a lack of an enemy lock on feature you have a recipe for very poor fighting. You’ll wildly be slashing and hacking around, hoping you get lucky enough to get through the level you’re in. The enemies in this game are cheap as well. I love a great challenge, but the control scheme and in game fighting is just so cumbersome, slow, and annoying that often you will be gunned down from a distance, or caught not be able to block in time, leaving you a angered and frustrated mess, ready to take your controller and mash it with a hammer. It’s not like the control scheme is hard to figure out. It’s pretty straightforward with your attacks being both weak and strong depending on the combo of choice, and ultimately it gets repetitive as you progress. The problem lies within a slowdown time that makes you just a split second slower than you should be. That’s all the time needed though for you to get attacked without mercy, leaving you just wondering why the hell the game is responding as quickly as you are attacking. At the end of each level every turtle gets graded for their performance. With such a poor control and game play experience these grades usually are pretty damn disheartening since nothing come off the way it’s designed to. This is, by far, the weakest area of Battle Nexus. Its frustration level is so high that even the most patient of gamers will find themselves at their wits end. If you’re in the market for a decent action game, then look elsewhere people, because this just doesn’t cut it in the end. From reading my frustration with the control scheme, it’s pretty easy to write this category. With nothing responding the way it should, and with all your characters sharing one health bar (which makes no sense, cause their different people all together.) you WILL lose your patience very quickly. To be perfectly blunt, this game plays nothing like it should for the demographic it is aiming for. 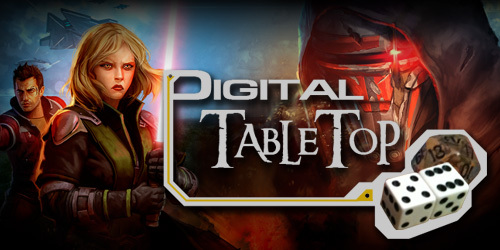 I was expecting a game much in the vein of the older Turtles fighters: a decent challenge that ended up being fun. Unfortunately you get none of this. Younger gamers will be turned off almost immediately by the poor control and the unwarranted difficulties it adds. Gamers like me will, unfortunately, feel compelled to play onwards out of a sense of misguided pride. I ended up a shaking mess of complete anger. After finally defeating it, I did not feel accomplished though. I just felt stupid and used. I was duped into using a poor control scheme that coupled itself with bad level design and enemy A.I. I had to play two solid hours of Megaman titles to get the dirty feeling off of me people! Wow. Just wow. Let me tell you how much I hated playing the main mode of this game. I hated it so much that I would rather subject myself to hours of torture in the form of any other bad video game from recent memory I can think of. Hell, give me Taiketsu and I would probably welcome it at this point! There is only one silver lining to this… and the ONLY reason I will never trade this game in. You can unlock the class Teenage Mutant Ninja Turtles Arcade game. I repeat: You can unlock the BEST Turtles game ever! I loved that game when it was out. I wasted untold dollars in my local bowling alley during my misspent youth plugging quarter after quarter in, playing it with whatever three guys I was with at the time. Of course I HAD to have the NES console version as well when it came out. And now, with a perfect arcade port (with some sound irregularities due to licensing rights if I’m not mistaken) just waiting for me, I was helpless. I had to buy Battle Nexus, and it’s the only reason I continued to play it. Was it worth it in the end? Well for me, yes it was. 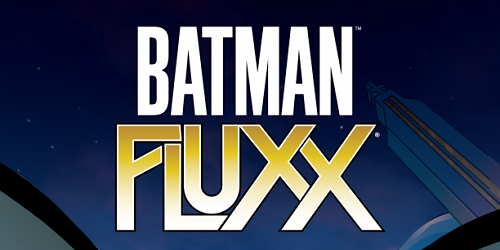 Because I really do love this unlockable classic. Others may not see it that way. Regardless after one play through there is no reason to go back to the main story. Ever. Let’s see. They took a concept that is not only been done before, but been done much better. It’s not like Konami had to look far to find good examples of how to do a Turtles fighting game. Seriously, what happened here? I’m still trying to figure out what went wrong. Maybe they all got drunk when developing this game. Or maybe they let monkeys take over about half way through. The real reason for such an atrocious game in this franchise will never be know I think. At least they put the arcade game in there. Someone must have known how bad the main game really was. Other than that, however, you will not find anything that resembles unique and original content here. It’s just a poor man’s version of any decent action/fighter out there. Words fail me to accurately describe how difficult it was for me to come back to this game time after time to finish it. It was a gaming struggle that I hadn’t experienced in quite some time. What kills me is that Konami did all the “fluff” content that a fighter/action game needs. Nice graphics, average sound, and decent story. Where they dropped the ball was in the most important areas of game play and control. If they had reversed the two and gotten that right and the fluff content wrong I would be sitting here pretty happy. Honestly the bad control scheme is enough to sink this game. 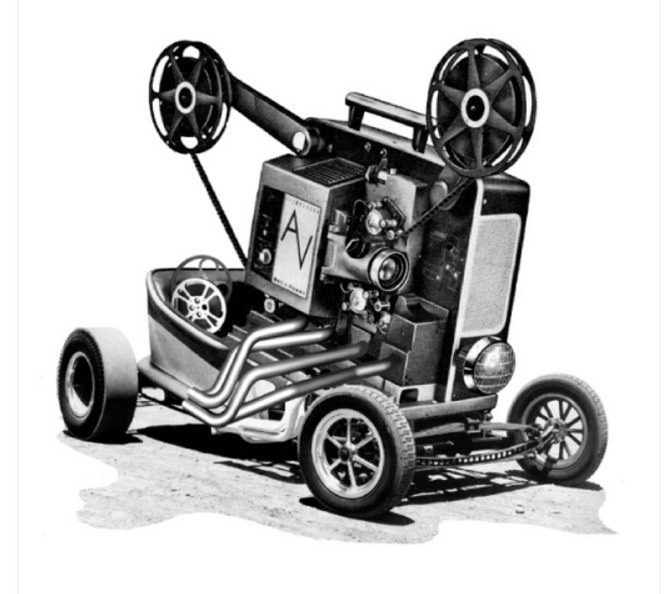 It seeps into nearly every category and affects its performance in just too many ways. Konami needs to re-evaluate its standards, because this certainly isn’t what I’m come to expect from them. 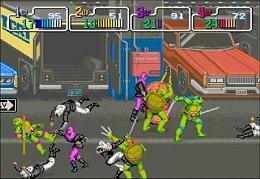 It’s especially disheartening as an old fan of the TMNT franchise and its games from the days of yore. Battle Nexus just can’t measure up. Unfortunately this game is going to appeal to a lot of younger fans who have discovered the new cartoon and toy lines that are out there right now. It disappoints me greatly, because these kids who buy this are going to come away empty handed. Parents who may be reading this: beware! You will damage your kid’s fragile gaming psyche should you waste your money on this game. You may also be risking fragile objects around your house once you kid has a meltdown and begins randomly destroying things after they started playing. The other part of the appeal factor of Battle Nexus is the inclusion of the arcade game. This will sell some copies to some of us who need to own this game in some capacity. Konami should be ashamed of this product though. Their cashing in, while the people who buy this are going to be left very, very disappointed. I wish I could sit here and say the graphics, story, and other decent aspects of Battle Nexus come though and save the day. I also wish I had a million dollars. Sadly, neither of these statements are true. Battle Nexus just doesn’t have what it takes to become a must own title for 2004. The unlockables are nice, but getting them is as agonizing as it gets. Konami has a very popular franchise in their hands, but this game just doesn’t do it, or their own standard of games, any justice. Stay away at all costs people. It’s not worth it unless you desperately need the arcade title. Like me. Damn my weak mind and my love for games from my youth.